Attention Ladies! Registration is open for the Run for Roses 5K. Runners and walkers welcome. Visit our updated Web page and sign up or volunteer today! Attention Ladies! Run for Roses is open for registration! Registration is open for the Run for Roses 5K. Runners and walkers welcome. Visit our updated Web page and sign up or volunteer today! Registration is now open for the Beginning Women Runners Program! This program will ease you into running your first 5K or get you back into running if you’ve taken a hiatus. Check it out & register today! First Time Marathon Program – open! Training for your FIRST, fourth or fifteenth fall marathon? Registration for the First Time Marathon Program is open now! Please check out the program page for details or register here! Are you interested in signing up to be an MCRRC Member? 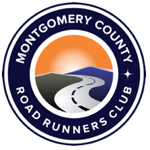 Are you interested in signing up to be an MCRRC Member? Registration is open! Sign up to become an MCRRC Member here! Non-MCRRC Member registration for Riley’s Rumble is OPEN! Non-MCRRC Member registration for Riley’s Rumble is OPEN! Avoid the long race day lines and register here. Need a chip & bib for the new year? Need a chip & bib for the new year? Please fill out the Low Key Race Form in advance and bring it with you to your first race of 2015! We’re looking for your photos! The MCRRC Communications Committee wants to use your photos on our homepage. Email your awesome race photos to communications@mcrrc.org. Please send a photo credit along with your photo. Thank you!